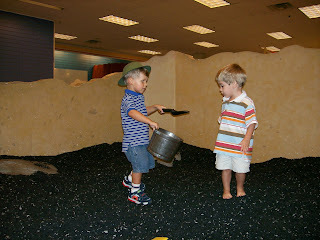 The Woodlands Children's Museum has a really neat pit filled with shredded tires where kids can dig for dinosaur bones and other treasures. 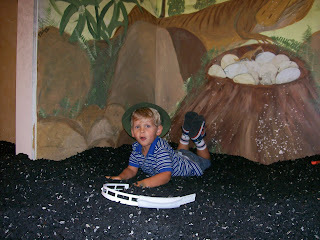 Here are a few pictures of Dawson playing in the dinosaur pit. 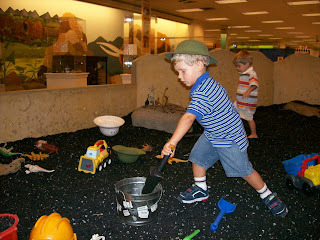 And of course, he had to wear the digging hat.